Lino Lemur’s mischievous smile tickles every baby’s funny bone. 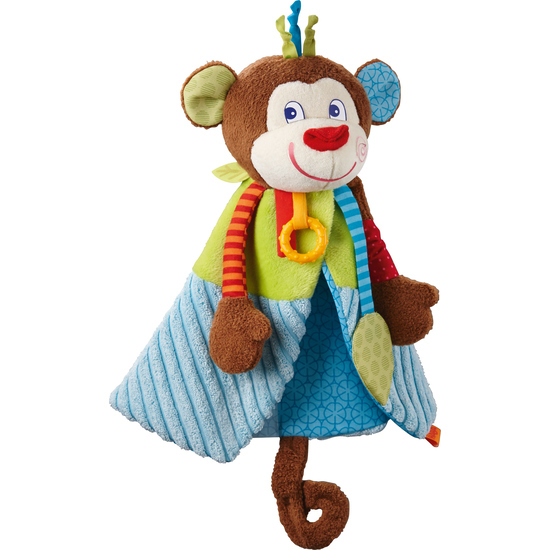 The cuddly is snuggly soft and its many varying elements inspire playful discovery. Two teething components sooth baby’s jaw muscles and a pacifier can be attached to Lino’s crinkly tail.